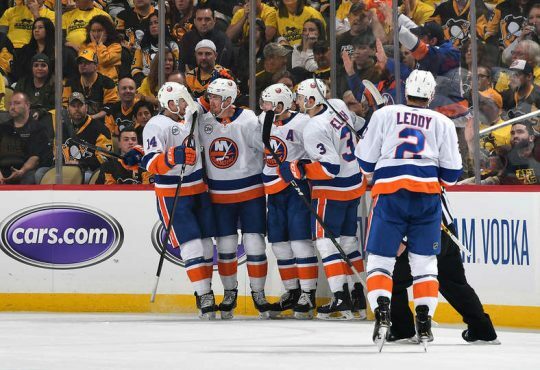 By now, all Islanders fans have read Brett Yormark’s latest gaffe in SI.com suggesting fans in obstructed view seats can watch the game on their mobile phones. It was latest in a series of tone deaf comments that often come across as insensitive towards the very fan base he is trying to attract and maintain. I understand the easiest way to avoid an obstructed view at Barclays is simply to not purchase an obstructed view seat. At this point in the season, few fans should be surprised by what they see and do not see and it’s not going to change any time soon. “There’s really nothing we’re going to do from a capital improvement standpoint,” Yormark stated. I appreciate the honestly, but there are other ways to improve the fan experience in these sections. Is Barclays thinking out of the box? Or are they content with fans watching the game on their mobile device with a 5 second delay? From the very start, I felt it was imperative for Barclays Center to brand these sections and embrace the absurdity of these seats. Hand out rally towels, props, something that makes fans sitting in those seats feel a part of the game. Make the overall game experience in these sections different and not just because they can only see one goalie. “The Barn” can be an interactive social media hub that can be a destination during games for fans of other sections throughout the game. A place to take pictures, shoot video and get your face painted. Allow fans to announce a goal scorer or introduce the 3 stars of the game from the section. It should be a party like atmosphere that can’t be duplicated in sections in the arena. Who knows? Maybe fans would actually want to sit there in time. Instead, Barclays Center elected to sell (very) limited view tickets. Now, I wouldn’t expect them to tarp these seats for every game. When you can sell 15,000+ tickets for games against the Rangers or other Metro rivals they should do it. Come playoff time, every seat should be occupied regardless of how much playoff action one can see. But what about tarping the section with signage for those other games? (I would sell tickets in 228,229 203 and 204 but tarp 230, 231, 201 and 202). Barclays already tarped areas in the lower bowl with the Islanders logo and it looks much better on ice and in person rather than empty seats and rails. 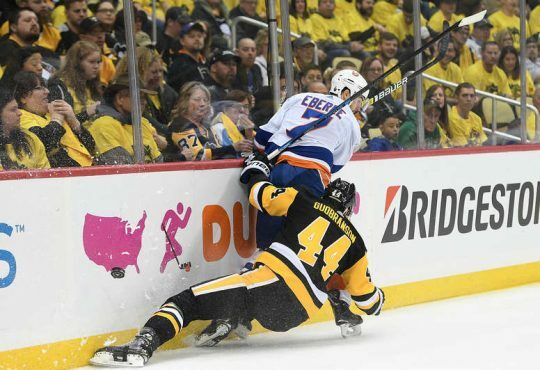 The tarp could have an specially made Islanders collage with players from the past and present, the Stanley Cups, the retired numbers, something that would play much better on T.V. and in person. It would make Barclays Center feel more like the home of the Islanders than the home of the Nets and concerts. Dynamic Pricing or no dynamic pricing, these seats should not cost more than $10-15. If you are going to charge more, make other aspects of the Barclays Center experience more affordable for these fans. 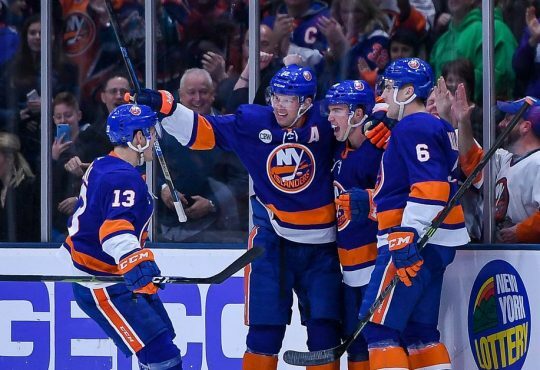 Barclays Center is more expensive than Nassau Coliseum. 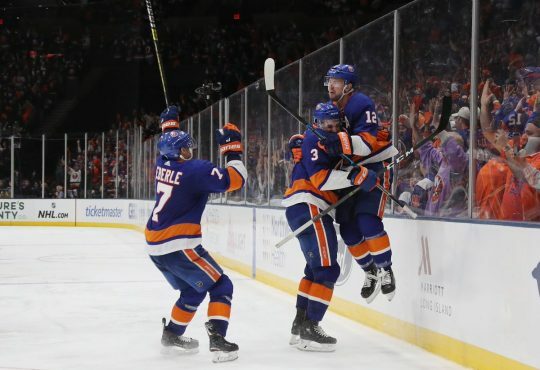 Fans that once drove 15 minutes are now paying for the LIRR, the food is more expensive, a beer is $11 – it’s not cheap. 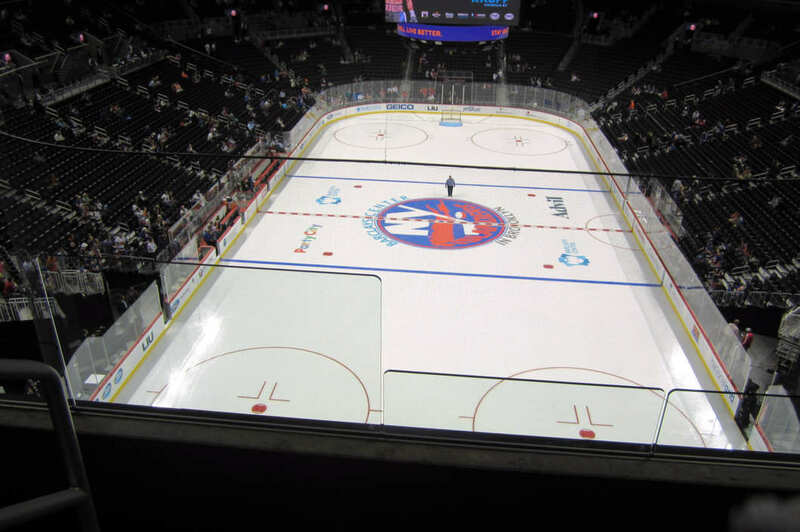 It’s one thing to spend more money attending a game in Brooklyn, it is another to spend more to see only 75% of the ice. What about a 15% discount in the team store for that game? 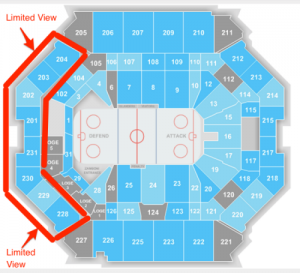 Make food and drinks more affordable before faceoff when you show your view is obstructed? How about selecting a pair of fans in that section each game to move down to a lower section? Some of these ideas are practical, others may not be for reasons I am unaware of, but undeniably changes should be made for next season and these changes neither have to be expensive nor complex. They just need to show that Barclays Center is trying. 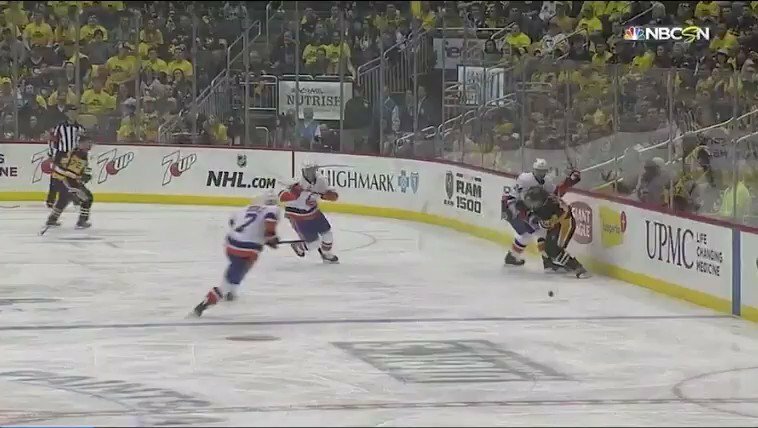 The 5 Hole: Defeated in D.C.